Mike and Linda Wiens met in college. He had just graduated and she was a cute sophomore. Together they built a successful heating and air conditioning business. Along the way two children, a son and a daughter, came along. Good thing, the kids now run the business while Mike and Linda play. And these two know how to play; if they're not sailing FairWind then they're flying their Bonanza. Mike is an FAA certified flight instructor (CFII). Until recently they were strictly Lake Erie sailors. 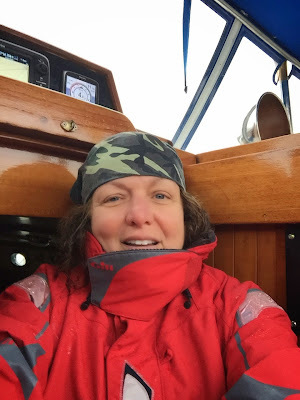 That all changed in October 2014 when they cruised FairWind south to her new home in Punta Gorda, Florida. Their humorous blog, svfairwind.tumblr.com, documents all the highs and lows of the trip. Peter Nordlie has a Ph.D. in social psychology and was president of Human Sciences Research, Inc. based in Fairfax, VA. He is a lifelong sailor. In the mid 60's Peter bought a strip planked Dickerson 35 ketch which he used to cruise the Chesapeake. In the mid 70's he bought a Cheoy Lee Clipper 36 Ketch in Baltimore, MD and retained the named Sovereign of the Seas. He sailed her from Maine to the Bahamas and then in 1989, after five years of preparation, headed across the 'pond' for Norway. Two days out of Cape May, NJ a powerful weather system descended on them bringing unrelenting westerly winds and 12' seas. Ten days into the storm Sovereign was lost 400 miles east of Bermuda. This same storm sunk three other sailboats on the identical course but ahead of Peter; on two of these all hands were lost. Read the whole story here. It took two years but by 1991 Peter was determined to get back on the water. By coincidence he came across a listing for a Lord Nelson 41 sailboat located in Marathon, FL. He bought Fair Wind and brought her back to the Chesapeake. Planning for the second Atlantic crossing commenced almost immediately. In 1994 he successfully crossed with stops in Bermuda, the Azores, Ireland, and Scotland. 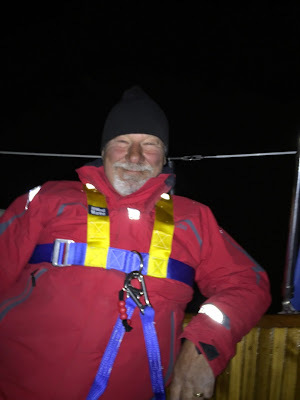 In 1995 Peter met his sailing goal of going back to Norway, the home of his grandfather who'd immigrated into the United States—it was a real 'roots' tour. In June 1996 Peter followed the Viking route home: Iceland, Newfoundland, Nova Scotia and finally the Chesapeake Bay. After his good experience with the Lord Nelson sailboat there was only one power boat for him, a Lord Nelson Victory Tug. He's cruised his tug, Last Call 37VT47, from Maine to Sarasota. In March 2005, while in her Horn Harbor, VA slip, fire on a neighboring boat badly damaged Last Call's dinghy deck. A $135,000 restoration by Zimmerman Marine brought this phoenix back from the ashes. 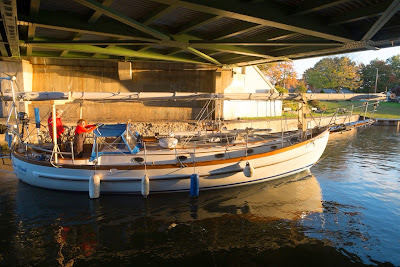 In 2007, he took her on an 1800 mile loop trip from the Chesapeake up the Hudson, out the Erie and Oswego Canals, across L. Ontario, the Rideau Canal to Ottawa, down the Ottawa R. and St. Laurence to the canal leading into L. Champlain, and from there via the Erie canal to the Hudson and back home.